​Welcome from Wilmslow Tree Surgeon. We are leading tree surgeons in Wilmslow and Cheshire and can help with all of your tree surgery needs. Please get in touch now to discuss your requirements around tree felling, tree removals, stump removals, tree pruning, crown reductions, crown lifting and hedge cutting. You could either fill in the contact form on this page or call us on 01625 359354 or 07866 857354. 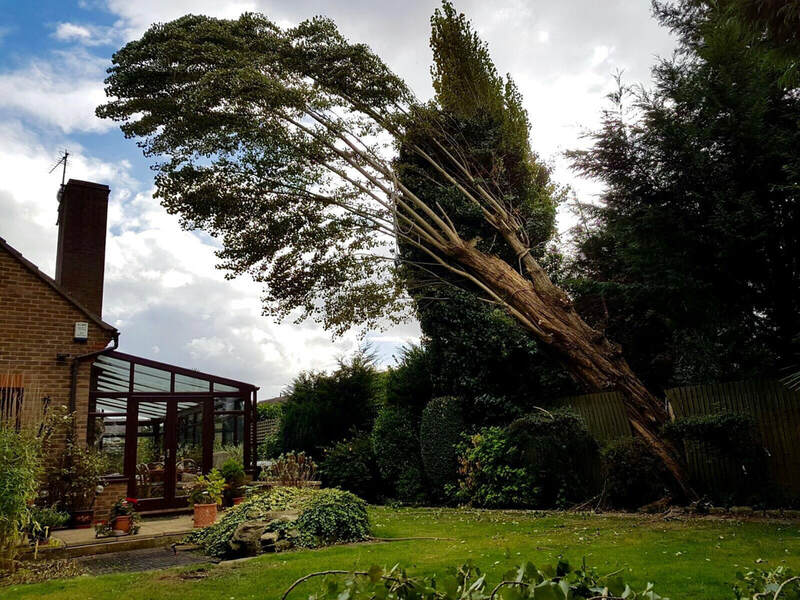 Providing the best tree removal Wilmslow has to offer, our Wilmslow Tree Surgeons have a number of years experience in safely and efficiently removing all types of small, medium and large trees. We have the capacity to remove a number of trees from a location at any one time and to then dispose of the wood in a way that is environmentally friendly. Using our wood chipper, we will reduce the tree(s) into smaller pieces of wood to either take away and dispose of or sometimes at our client's request, we will leave the woodchip or bark with them to do as they please. 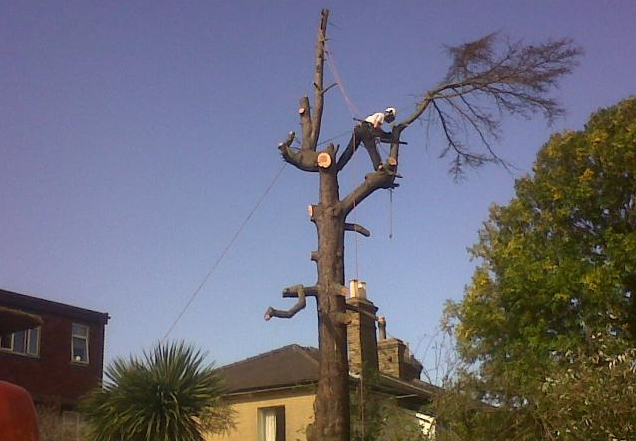 Tree felling is the skilled process of taking down an individual tree or group of trees. 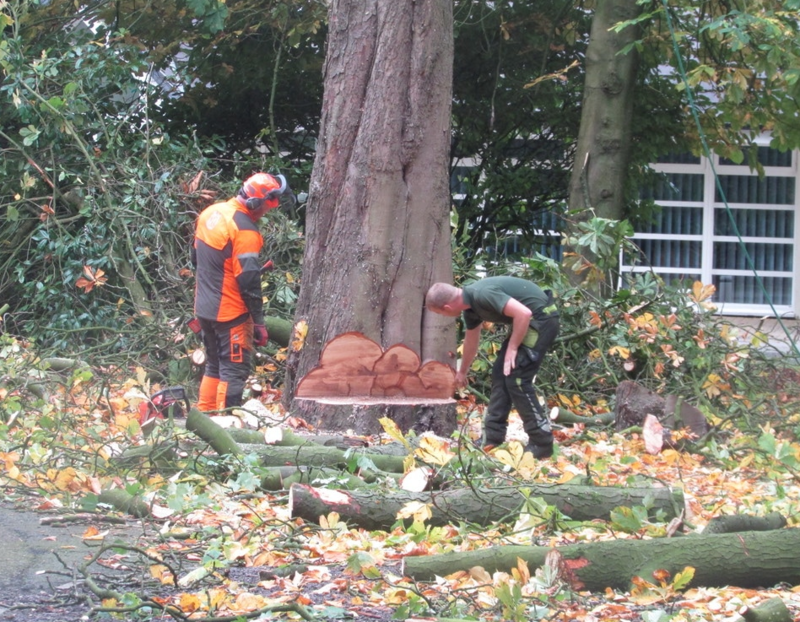 ​The felling will be carried out by one of our well qualified and experienced tree fellers. 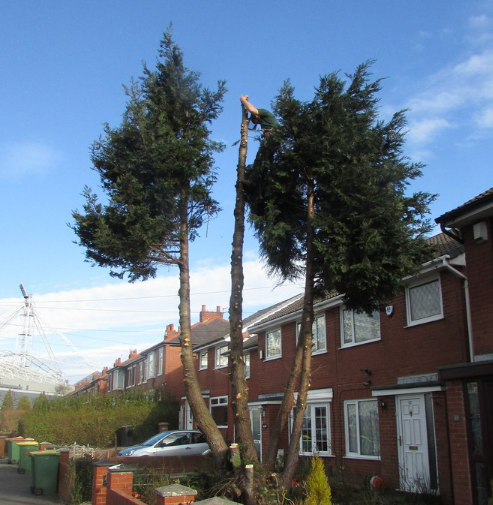 Wilmslow Tree Surgeon will ensure felling is safe to do so by firstly considering any overhanging telephone wires, any objects/equipment/storage items around the tree as well as sufficient space for the tree to fall into. We will put safety signs up where needed to let passers by know that we are carrying out work. Tree pruning is the art of removing parts of the tree to make it look easier on the eye but at the same time providing important health benefits to it. The pruning that Wilmslow Tree Surgeon will carry out will leave the tree looking great and also the make environment around it a safer place. A crown reduction on a tree has many positive factors. Through making the tree shorter or spreading the crown out, it can decrease shading and light loss into a garden or premises, as well decreasing the stress that is placed on branches and the tree overall. Crown lifting on the other hand is literally "lifting up" the tree between the ground and the lower branches by way of removing these lower ones; this can be the best option if the tree overhangs perhaps a public footpath and is getting close to the heads of passers by. Hedges come in different shapes and sizes but no matter how small or large they may be, we have the long reach equipment and experience to cut down or trim all varieties. It is important to bear in mind privacy so we will always be conscious of this whilst at the same time ensuring that your hedge(s) are aesthetically pleasing. Our tree surgeons in Wilmslow cover all local areas, including The Carrs, Finney Green, Lacey Green, Colshaw Farm, Dean Row, Wilmslow Park, Fulshaw Park, Davenport Green, Handforth and Styal. 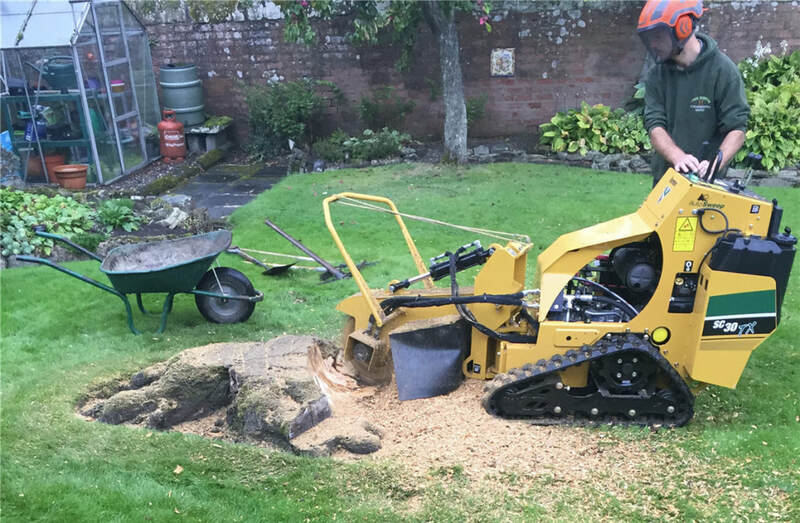 Further afield to Wilmslow, we are also a tree surgeon Alderley Edge, Row-Of-Trees, Warford, Woodford, Mobberley, Mottram St Andrew, Prestbury, Chelford, Astle and Monks' Heath can rely upon to provide high quality and reliable tree surgery services. 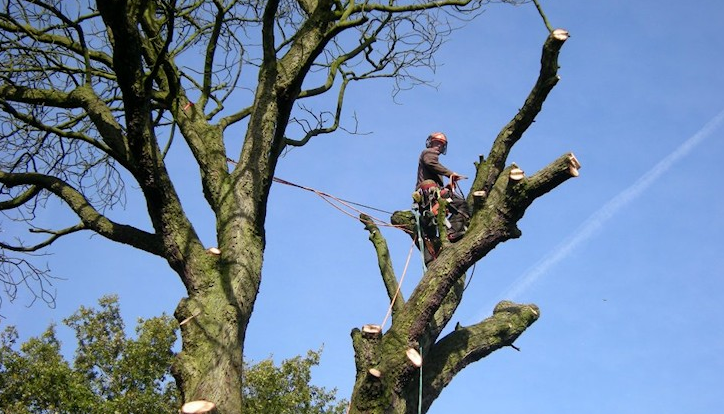 Wilmslow Tree Surgeon have carried out work for a variety of customers ranging from domestic to commercial and we treat all clients with a high level of customer service and professionalism. 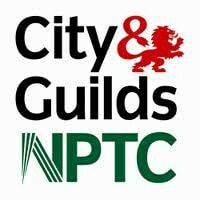 We carry out tree works for landlords, homeowners, tenants, property management companies, schools, colleges and councils. Whichever type of home, business premises or site you require work to be completed on, we will be very happy to help you. Please get in touch with our tree surgeons now by either filling in the contact form on this page or calling us on 01625 359354 or 07866 857354. Please get in touch with one of our tree surgery experts via the contact form on this page or by calling us now on 01625 359354 or 07866 857354. If you would like the work carried out as soon as possible, we will pop round at a convenient time to see you and if it is suitable for you, it would most likely be the same day. We will have a look at the work that you would like doing and provide you with a quote whilst we are there. If you are happy and would like to go ahead with our services, we will arrange a convenient day - or days - to complete the work on.